My translation of Pushkin’s Mozart and Salieri was first published in 1984 in the Russian Language Journal. I put it up on my first website in the late nineties, and since then it has been reproduced numerous times elsewhere on the web, both with my permission and without. 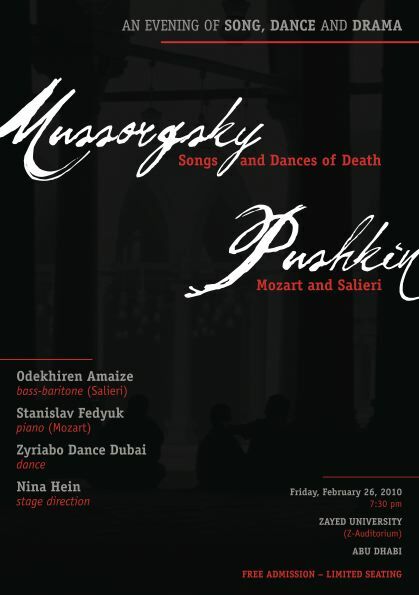 During 2008-2010 it had three separate performances by people in three different countries who found it online and asked permission to perform it. 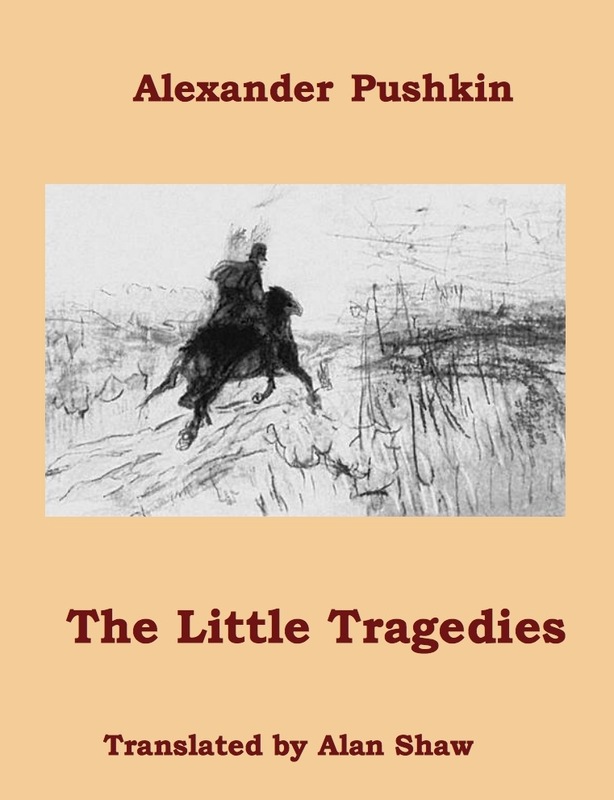 This response encouraged me to finally translate the other three “little tragedies” (the title is not Pushkin’s), which I did in 2009-2010. I have also composed music for the two songs in the final play, A Feast During the Plague (sheet music for those will be available here soon). Since online copies of Mozart and Salieri have appeared in various formats, and since there have been some revisions to the text, I no longer have an HTML version of the text here. A PDF with correct formatting, incorporating the latest changes, is available as a free download. It may be freely distributed for non-commercial purposes. Those interested in performing any of these translations, or in obtaining the musical scores for the song settings for Feast During the Plague, should contact me directly by email. This video playlist shows the entire Mozart and Salieri sequence from the 1979 Soviet TV film malenkie tragedii (The Little Tragedies), dir. M. Shveitser, with subtitles adapted from my translation and inserted by myself. There are five segments, totalling approximately 34 minutes.